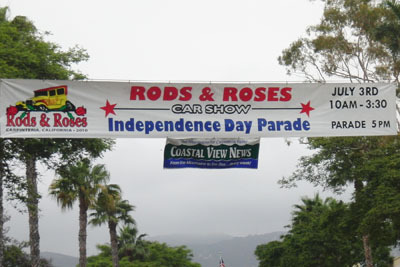 The Rods & Roses Charity Car show was presented by the Coastal View News and benefited Carpentaria Cares for Youth and additional local service groups and organizations. 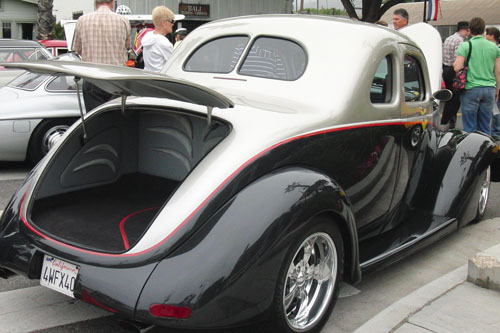 The show drew a huge crowd of car owners and car lovers to raise money for area children�s charities. 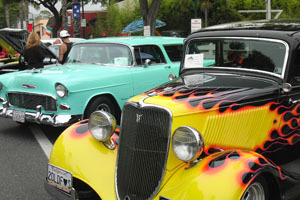 Linden Avenue became a classic car street of dreams, as visitors perused up and down viewing, photographing and voting on their favorite cars. 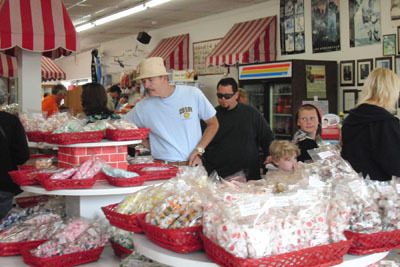 An antique tractor display, racing cars, motorcycles (including the Unity Cycle) as well as flower stands, and a kid area made this event one to remember. 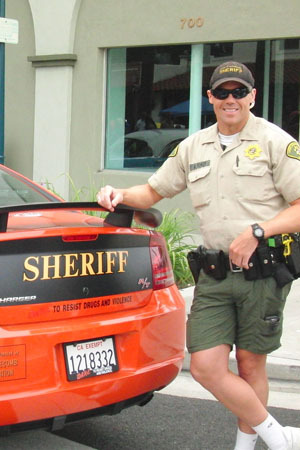 The Sheriff�s were there with the DARE car, and answered questions from visitors. Local businesses were getting some action as well. 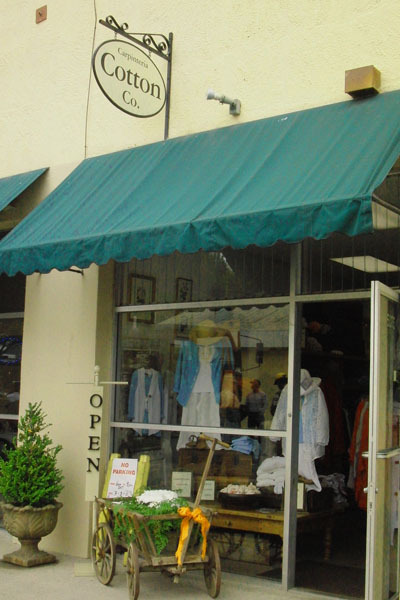 Robitaille�s was filled with kids and their parents buying sweets, women were finding lovely items at The Cotton Co., and Sly was sitting in the front of his restaurant greeting visitors. This was a really fun way to spend an afternoon in Carp. 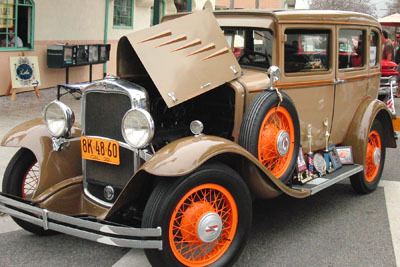 The collection of cars on display was impressive, and the antique and novelty shops offered some great buys. Lunch options up and down the street were endless. 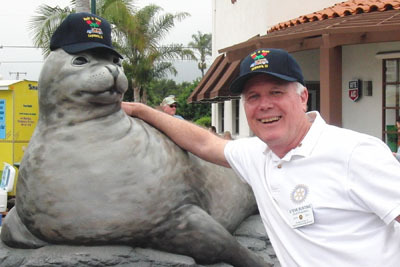 Rotary President Steve Bunting said �we are really excited to be here to give our support� and he posed with one of the fantastic sculptures on display; the sea lion sculpture was wearing a Rotary International cap to show his support. 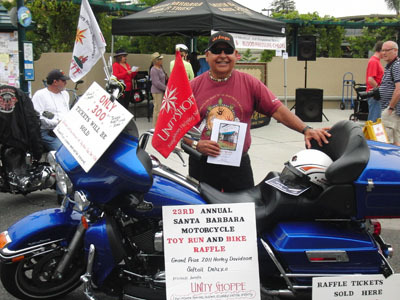 Booth vendors were selling chances for a variety of great prizes to raise funds. Grand Marshall Andy Granatelli �Mr. Indy 500� announced the winners at the end of the day. 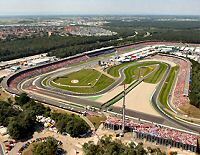 Gratzia Miela Felipe Massa and Alonso Ferrari for a Great Race!